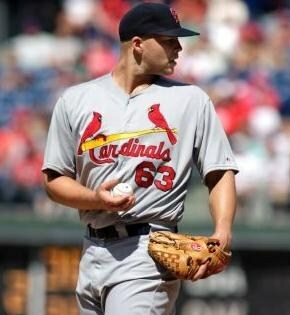 Justin Masterson finally pitched a game the Cardinals were expecting when they traded for him back on July 30. 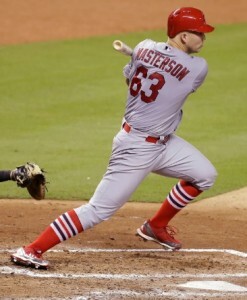 Masterson improved to 2-1 with St. Louis and 5-6 overall. He allowed only three singles and no walks in seven innings as the Cardinals beat the Miami Marlins 5-2. He also bounced a grounder through the Miami infield for his RBI, the first of his career. The Cardinals gained ground on both Milwaukee and Pittsburgh who lost their games. Matt Adams started the scoring in the third with a two out single to score two and the Cardinals added solo runs in the 5th, 6th and 8th innings. The offense is still leaving a lot to be desired. They went just 2 for 11 with runners in scoring position and for the series, 4 for 26.